The mission of Clayton County Senior Services Department is to deliver services and programs that promote independence and dignity, as well as to enhance the quality of life by providing a safe and caring environment for older adults, relative caregivers, and grandchildren. We do just that at our different senior centers, inter-generational center, & Aging services center. 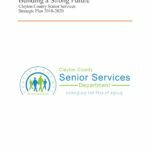 Clayton County Senior Services aims to provide the services necessary to keep the older adult population of Clayton County healthy, active, and living on their own. If you haven’t visited one of our centers, drop by today and take a tour! Clayton County Essential Home Repair: The Clayton County Community Development Department uses the Clayton County Essential Home Repair Program to provide limited financial assistance for home repairs for qualifying homeowners 62 and over who are disabled and/or a veteran. 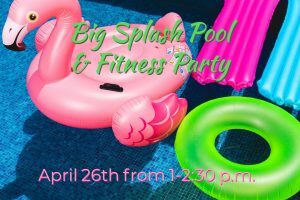 See flyer for more information. Georgia Power Energy Assessment & Solutions Program: The Georgia Power Energy Assessment & Solutions Program (EASP) is designed to assist income-eligible customers with energy savings through education and free home efficiency improvements. Click here to read more about this program. U.S. Census Bureau Employment Information: The U.S. Census Bureau is hiring! The positions are full-time and part-time with flexible hours to meet your scheduling needs. No experience needed. Must be a U.S. citizen and over the age of 18 to qualify. For more information, click here.